Capture fast-action, low-light scenes, smooth HD video and more with phenomenal clarity, precision and sharpness. 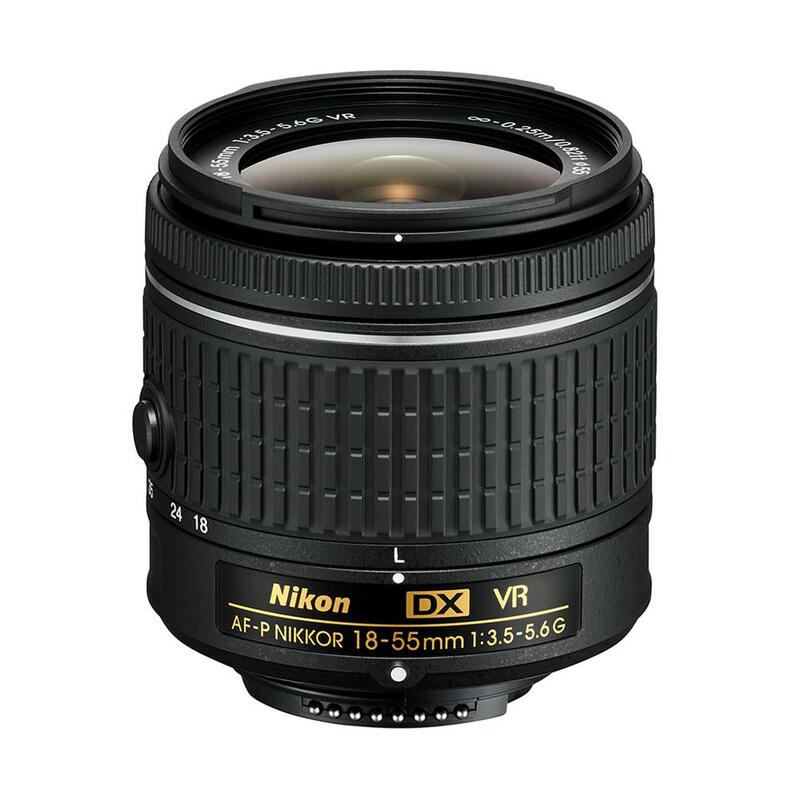 Compact, lightweight and optimized for high-resolution DX-format DSLRs, this lens covers the highly versatile 18?55mm zoom range and features Nikon's VR image stabilization for sharp photos and steady videos. It uses a pulse motor (utilizing stepping motors) for ultra-fast, near silent autofocus and two Aspherical lens elements for outstanding optical performance. With the Vibration Reduction (VR) equipped AF-P DX NIKKOR 18-55mm f/3.5-5.6G VR on your DX-format DSLR, you'll be ready for anything. Part of Nikon's new "P" series of lenses, it uses a pulse motor (utilizing stepping motors) for ultra-fast, near silent autofocus and two Aspherical lens elements for outstanding optical performance. Capture wide landscapes and group photos one moment, then tight portraits, family sporting events and smooth HD video the next?all with phenomenal clarity and precision. VR image stabilization enhances your camera's low-light capabilities and keeps your videos steady. Compact, lightweight and extremely versatile, this lens will be your gateway to better photography. Nikon's Vibration Reduction (VR) technology offsets the shakiness of hand-held shooting for sharper photos and steady videos. In low-light situations, VR lets the camera use a slower shutter speed to capture sharp photos - without blur. VR image stabilization gives you the benefits of a tripod without any extra gear. Switch between Autofocus and Manual Focus or turn VR on and off using the camera menu. With no switches on the lens barrel, you have no chance of accidentally changing settings when you want to take the shot.